Under an initiative from the North-Rhine Westphalia Local Authorities Confederation (StGB NRW), the new purchasing cooperative for local authorities in North Rhine-Westphalia was set up. 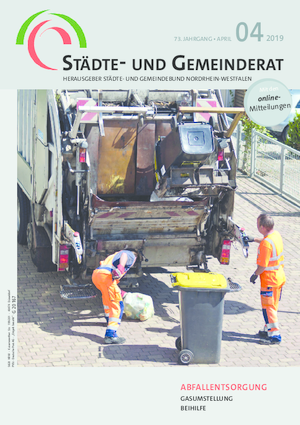 It is called “KoPart”, which stands (in German) for the attributes of “municipal and collaborative”, and describes the basic intention of the cooperative, which aims to obtain better conditions by grouping municipal demand packages together. KoPart was founded on 14 June 2012 in Düsseldorf. Founding members are the local authorities in Bergisch Gladbach, Hilden, Gevelsberg, Jülich, Kaarst and Meinerzhagen and the North-Rhine Westphalia Local Authorities Confederation and the North Rhine-Westphalia Municipal and Sewage Consultants (KuA NRW). The Supervisory Board consists of the StGB NRW’s Executive Director Dr. Bernd Jürgen Schneider (Chairman), Lutz Urbach, Mayor of Bergisch Gladbach (Deputy Chairman), Claus Jacobi, Mayor of Gevelsberg, Horst Thiele, Mayor of Hilden, and Heinrich Stommel, Mayor of Jülich. The Managing Board comprises Michael Lange, Managing Director of KuA NRW (Chairman), Dr. Peter Queitsch, Managing Director of KuA NRW and Senior Advisor of the StGB NRW (Deputy Chairman), Claudia Koll-Sarfeld, Section Head for Law and Municipal Services at KuA NRW, and Philipp Gilbert, Personal Assistant to the StGB NRW General Manager. Membership of the cooperative is open to local authorities and municipal companies, particularly the members of North-Rhine Westphalia Local Authorities Confederation and its institutions. Membership costs a one-off fee of 750 euros. With this payment, the member acquires a share in the cooperative, which will be returned if the member concerned leaves.